Cabernet franc—the finesse of a Bordeaux-blend, the luscious Loire grape, Papa of Cabernet sauvignon….signature grape of the Hudson Valley? Many emerging wine regions form a coalition and/or pick a signature grape to put forth as “their grape.” It enables wineries and growers to rally around a single variety and work together to raise the bar. Virginia did it with viognier and they are now putting a focus on petit verdot. Long Island chose merlot, and the Finger Lakes made a name for themselves with riesling. “Personally I think it’s wise for the Hudson Valley to look at our strongest varietals and look to highlight one or two of them. In the Finger Lakes, they have done a great job with riesling. On Long Island, although maybe changing a little now, it is merlot and chardonnay. When you think of the Hudson Valley it’s an eclectic mix. The coalition gives a hook to the consumer and a nudge to the critics that we actually grow and produce great cab francs.”, says Ben Peacock of Tousey Winery. 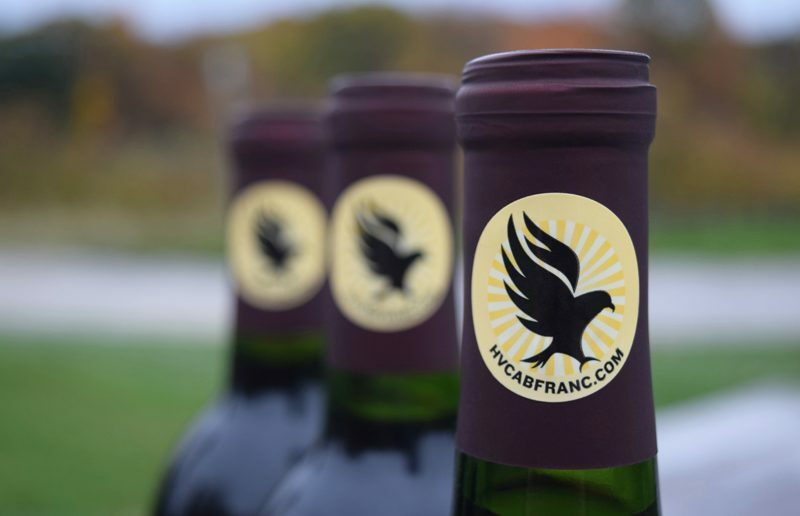 According to their website, the Hudson Valley Cabernet Franc Coalition is a group of Hudson Valley winery owners, grape growers, winemakers and wine industry supporters committed to establishing a cabernet franc brand identity for the Hudson River Region. The Coalition’s hawk icon guarantees that a minimum of 85% of the grapes used in making the wine are grown in the Hudson Valley and that the wine has been aged for at least 12 months. “12 months aging enables the wine to develop its character. It also gives the winemakers a common timeframe to release their vintages. 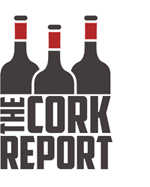 A vineyard’s terroir will drive brix, acidity and tannins, which can be linked with an oak regimen to enhance the wine”, offers Linda Pierro, secretary of the Coalition. Beyond those requirements, the 2018 Coalition Legacy members (Millbrook Vineyards, Whitecliff Vineyard, Glorie Farm Winery, Tousey Winery, Robibero Family Vineyards, Nostrano Vineyards, Milea Estate Vineyard, Fjord Vineyards) submit their qualifying wines for a peer review. In the future, as the number of Coalition wineries grows, there are plans to institute levels of tasting requirements. So why cab franc? It’s not exactly setting them apart, as it is grown widely across the world. When Argentina made a bold PR move, promoting themselves as the Lazarus of Malbec, people gathered for the second coming. Malbec, a humble blender in Bordeaux, and as a single varietal in Cahors that most of the world had forgotten about, enabled Argentina to become the world’s fifth largest producer of wine. Some may wonder why the Hudson Valley chose a grape so easily accessible from any region, when they could have showcased a hybrid that boasts a sense of place. 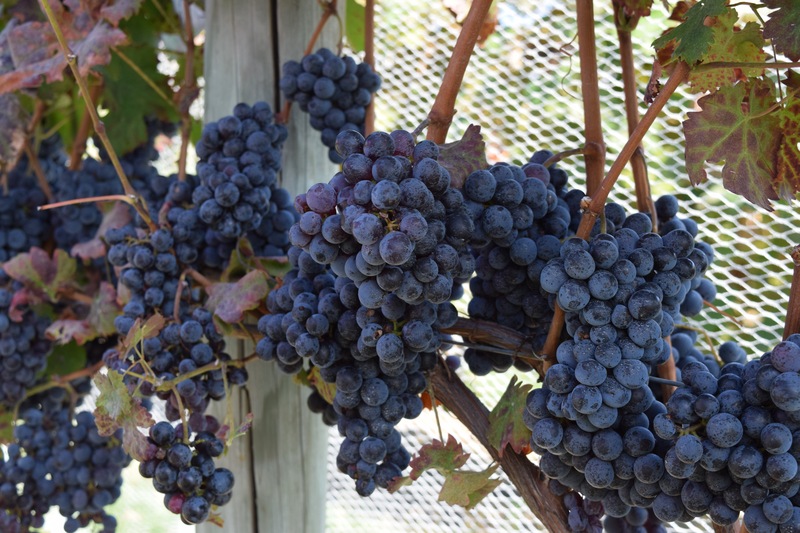 Given the region’s strong relationship with the Cornell Viticulture and Enology program, and the success with their hybrids; is cabernet franc a better choice than, say, baco noir, which shines in the area and illuminates the region? Well, maybe. The point of the coalition is to put the Hudson River Region on the map, and sadly, a hybrid grape doesn’t have the heft to keep the tack in place. There is always the possibility that this will help the hybrid movement in the Hudson Valley. Once the region makes a name for itself, and wines from the area are more accessible, consumers may start to seek out different grapes. Millennials and younger wine drinkers especially, tend to like to explore and are more adventurous with food and wine. 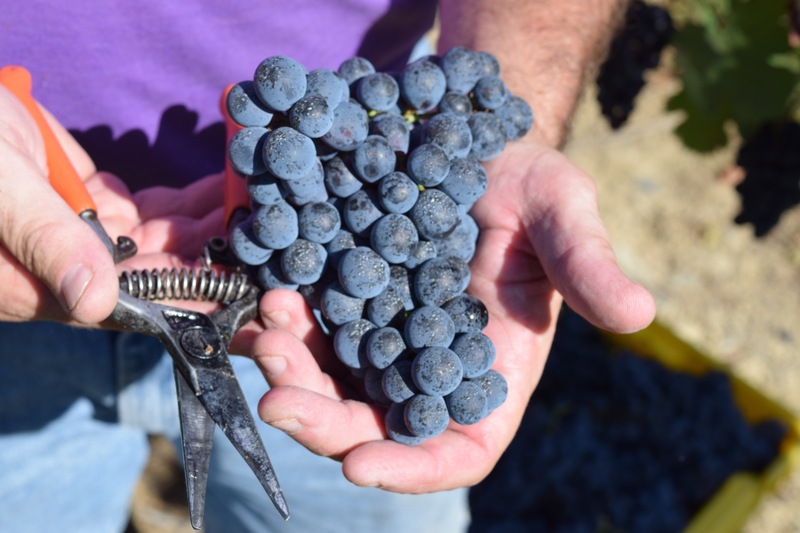 So why was cabernet franc chosen? The push is starting locally with events and tastings celebrating the grape—between Hudson Valley Cabernet Franc Week, participating in National Cabernet Franc Day, and coordinating a Sommelier Barrel Tasting of Coalition member’s cabernet franc wines. Looks like Doug Glorie, of Glorie Vineyards, was onto something in an interview with Cornell Cooperative Extension back in 2016.